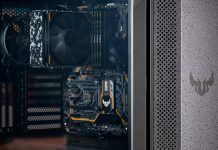 High-end PCs boast mind-boggling horsepower that’s only truly harnessed by the most strenuous workloads. These extreme machines provide premium experiences for picky connoisseurs who demand the very best, and they have the jaw-dropping price tags to match. But they’re not the only option. Thanks to trickle-down, the very same technologies are available on affordable systems that offer a taste of latest and greatest without blowing your budget. 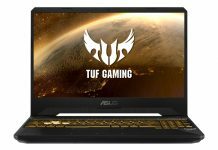 Take our ASUS VivoPC X, for example. It’s not only fast enough to tackle the day-to-day tasks that make PCs vital, but also potent enough to play the games and VR experiences that make them so much fun. This small-form-factor PC is discreet enough to fit anywhere in your home, and best of all, its $799 asking price won’t induce sticker shock. Starting April 25, select retailers will also offer a special bundle with a full Oculus Touch setup and four awesome VR games for only $1299! You’ll be amazed by what this unassuming little system can do. Unassuming is the operative word here. 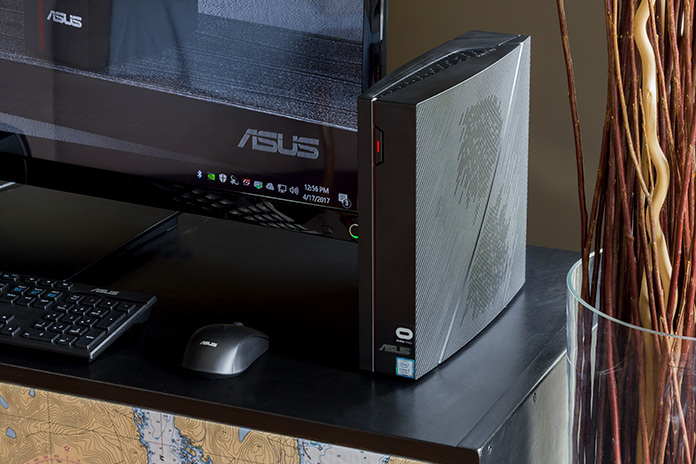 Unlike ostentatious gaming PCs tailored for teenagers, dorm rooms, and man caves, the VivoPC X is designed to fit in rather than stand out. Its matte black exterior and muted styling seamlessly blend into any room of your home. The only hints at the gaming-grade hardware within are the red stripe on the front and matching grills covering the exhaust vents on two sides. Compact dimensions let the VivoPC X fit anywhere physically, too. The five-liter chassis is smaller than the Xbox One, so it tucks into an entertainment unit with the rest of your AV gear. The case lies flat or stands vertically, depending on what works best for your space. And, at under five pounds, it’s easy to move between rooms and stuff into a bag to take to a LAN party. 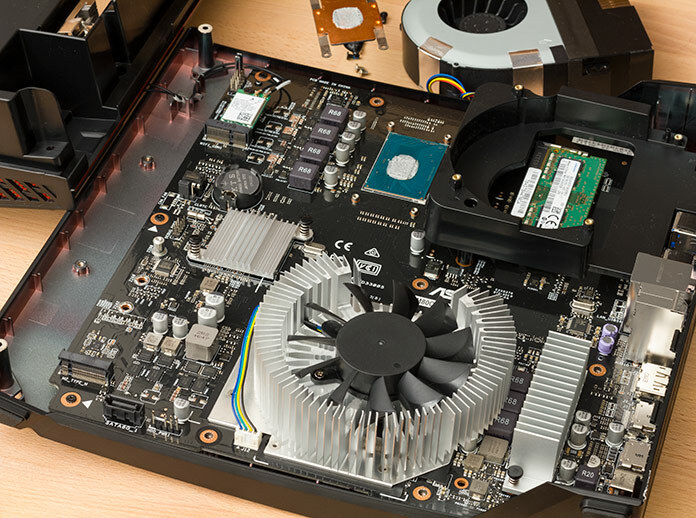 The VivoPC X even weighs less than the current Xbox and PlayStation consoles, despite packing a lot more power. PC games and VR experiences are more compelling than their console counterparts because the underlying hardware is simply better. Performance is hugely important when simulating complex virtual worlds at the 90FPS required by VR headsets like the Oculus Rift and HTC Vive. To make that happen within a reasonable budget—and inside a compact chassis—the VivoPC X pairs Intel’s Core i5-7300HQ processor with NVIDIA’s GeForce GTX 1060 graphics. The CPU boasts quad cores based on the latest Skylake microarchitecture. It’s technically a mobile chip, which helps cooling in a system this size, but it still has plenty of oomph. 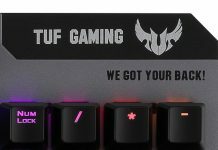 We use similar processors in many of our ROG gaming laptops—nuff said. The GPU is derived from the same Pascal microarchitecture as the rest of the new GeForce 10 Series. Like our ROG GR8 II gaming desktop, the VivoPC X uses a mildly de-tuned version of the GTX 1060 equipped with 3GB of video memory. The smaller VRAM payload forces some compromises when playing the latest blockbusters at 4K resolution. That’s to be expected in this price bracket, but it doesn’t affect the chip’s VR readiness. 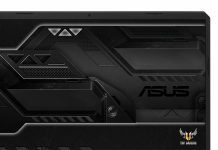 In addition to sporting a CPU-and-GPU tag team that meet the demanding requirements of VR, the VivoPC X as a whole is certified as Oculus Ready. We worked closely with Oculus to ensure that the machine works with the Oculus Rift headset and Touch controllers. For this article, we decided to go one step further by testing performance across a wide range of popular VR titles. We used NVIDIA’s excellent FCAT VR utility to measure the quality of the VR experience during 60-second snippets. Modern VR displays refresh at a constant 90 FPS, which requires new frames to be produced every 11 milliseconds to keep up. Frames that aren’t produced quickly enough are dropped, which can lead to perceptible stuttering. To avoid this, new frames can be synthesized based on the contents of previous ones. This process can introduce visible artifacts, but it’s better than dropping frames. The top FCAT graph shows individual frame times across our 60-second tests, while the bottom one tracks dropped and synthesized frames. Click the buttons below the graphs to switch between experiences. Many of my favorite VR games run flawlessly on the VivoPC X. SUPERHOT, Job Simulator, Space Pirate Trainer, Audioshield, and Thumper show barely any dropped or synthesized frames, denoting an uninterrupted stream of virtual goodness that makes you feel like part of another world. The captured results match my subjective impressions; I didn’t even bother taking notes for these games because the experiences were essentially perfect. That didn’t stop me from logging more test runs than were necessary just to be sure, though. Ahem. Like traditional games, some VR titles are more demanding than others. Arizona Sunshine exhibited more dropped frames, although I didn’t feel them in-game. The pressure of picking off zombies approaching from all sides was enough to distract from any brief stuttering that occurred. Occasional hitches were more noticeable in Robo Recall and Raw Data, where we see blocks of synthesized frames along with more drops. The enemies in these games move a lot faster than staggering walkers, and they shoot back, making the gameplay intense enough to largely mask performance imperfections. Our results were gathered with the default graphics settings, but it’s possible to scale back the details to improve performance. The enhanced sense of immersion in virtual reality means lower-fidelity graphics don’t detract from the experience as much as in non-VR games. VR isn’t just about gaming and gunplay; Tilt Brush and Medium let you paint and sculpt in three-dimensional space. Tilt Brush runs perfectly on the VivoPC X, while Medium is demanding enough to induce dropped frames and occasional bouts of synthesizing. As with the games, though, the performance hiccups didn’t detract from the experience for me. My appalling artistic skills were a much bigger limitation. Virtual reality even extends to video in the form of 360° movies. They run great on the VivoPC X regardless of whether you’re playing local files or streaming from YouTube using a player like Deo VR. The freedom to look all around makes you feel like you’re actually somewhere else—real places like Times Square, the Grand Canyon, or the top of Everest rather than the fabricated realities depicted in rendered VR experiences. TV series are even getting in the action with Stranger Things and Mr. Robot offering 360° clips to complement standard episodes. There’s more to the VivoPC X’s entertainment credentials than virtual reality. The machine is also adept at playing traditional games and videos. To test its non-VR gaming chops, we played a handful of titles with Fraps running in the background. Fraps logged individual frame times, which we then converted to FPS for easy interpretation. All the games were run with maximum details at the 1080p resolution used by most monitors and big-screen TVs. 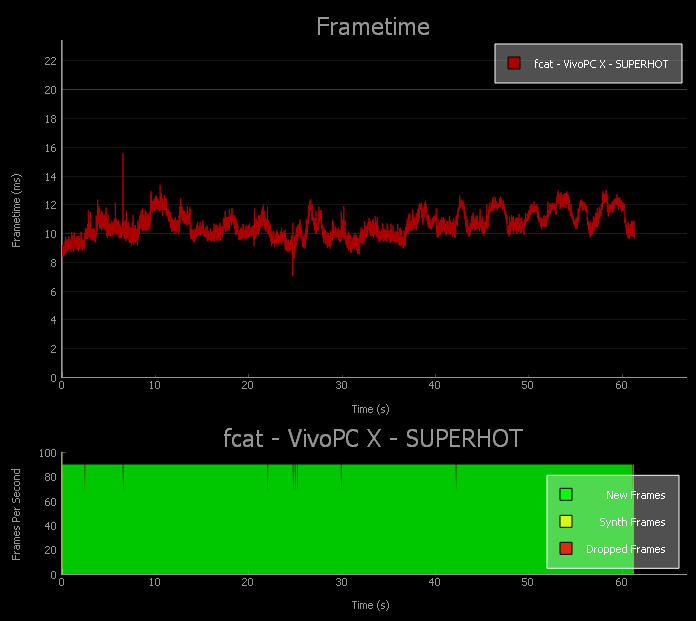 The VivoPC X is easily fast enough to play the latest games at 1080p with the eye candy turned up. Everything we tested ran comfortably over 60 FPS, doubling the frame rates typically found on consoles. Some of the less-demanding titles even spent most of their time pumping out triple-digit FPS figures. Playing at 4K is possible—and even easy with less-demanding games like CS:GO and Rocket League. However, getting smooth frame rates in some games requires dialing back the graphics details. See our hands-on look at the ROG GR8 II for more details on what it takes to coax fluid 4K gameplay from the GTX 1060 3GB. Compared to games and VR, typical multimedia is cinch. Kodi and Netflix run effortlessly, without breaking a sweat. 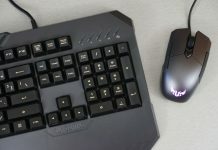 The included wireless keyboard and mouse remove annoying cable clutter and make it easy to control the machine from across the room on the couch. 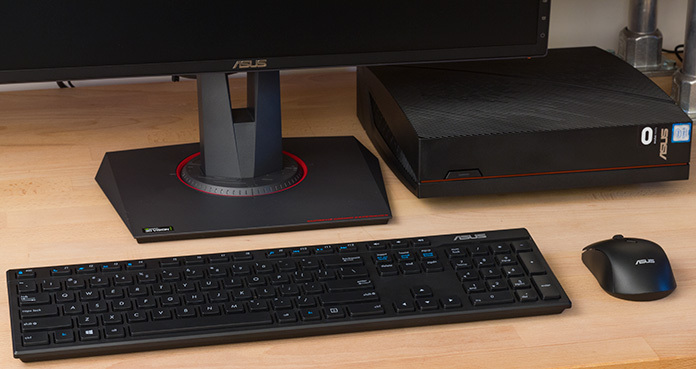 The wireless receiver plugs into a USB port at the back, and reception is great for desktop setups. Gamers who want reliable responsiveness at a distance should add a USB extension cable that moves the receiver into view, though. You can also connect your own wireless peripherals using the integrated Bluetooth 4.1. Bluetooth is just one facet of the VivoPC X’s broad connectivity. 802.11ac Wi-Fi lets you hop onto the fastest wireless networks, while Gigabit Ethernet provides a low-latency wired connection for serious multiplayer gaming and ultra-fast local file transfers. Quad USB 3.1 5Gbps ports offer plenty of capacity for a VR headset and motion trackers, and dual HDMIs let you connect a monitor and headset simultaneously for maximum convenience. 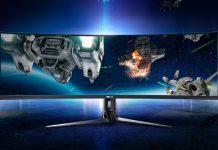 There’s also a DisplayPort video output that can tap into the G-Sync support available in our diverse lineup of ROG gaming monitors. Inside, the VivoPC X comes with 8GB of DDR4-2400 memory that’s sufficient for a system of this caliber. Storage is covered by a 1TB hard drive with loads of room for games and media. The limited budget didn’t allow us to add an SSD, but the motherboard has an M.2 slot if you want to upgrade yourself. The slot supports SATA-based M.2 SSDs up to 80 mm long. It’s accessible by popping off the side panel, which is held in place by standard Philips screws. Getting at the motherboard’s SO-DIMM slot requires removing the GPU cooler, as well, but you can use the same screwdriver. VR is the most exciting thing happening on the PC right now. It offers a glimpse into the future today: an entirely new set of experiences that let you interact with virtual worlds like never before. And the best part is it’s accessible to everyone thanks to the VivoPC X. 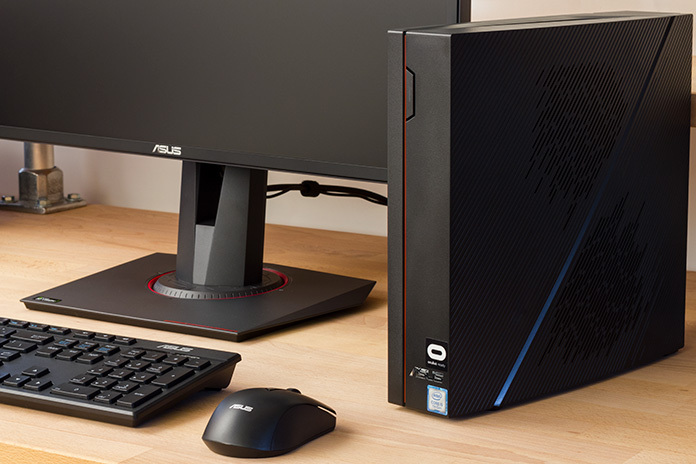 This affordable mini desktop offers a great entry-level VR experience for only $799, and it’s a capable all-around gaming and entertainment PC on top of that. Starting April 25, the VivoPC X will be an even better value with a special bundle of VR gear and games. You’ll be able to get it along with an Oculus Rift headset and Touch controllers, plus The Unspoken, Superhot VR, Wilson’s Heart, and VR Sports Challenge, for $1298.99. At $222.98 off the regular asking price for all those items, that’s sweet deal for your first taste of virtual reality. 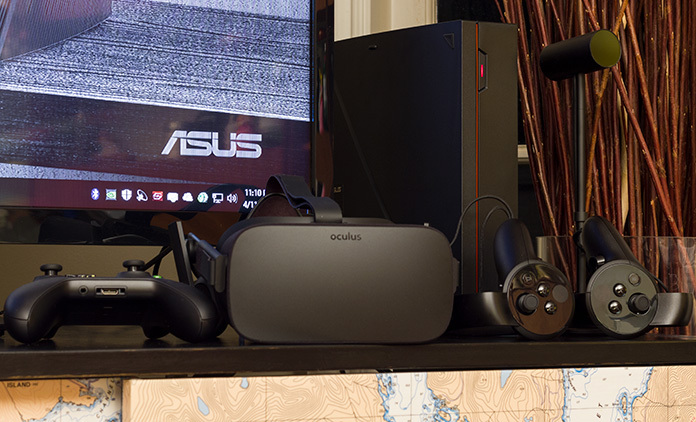 Check the table above for e-tail availability for the VivoPC X and Oculus bundle.